Instructions and video on setting up Wall Worm to export levels, models and materials usinf Wall Worm 3.71+ and 3ds Max 2018. Well... I mean Wall Worm is used on a Tank. Some news and spotlight about Wall Worm, tools, users and projects. Export your CAT or Biped rig from 3ds Max into the Source Game Engine with Wall Worm. You can use Wall Worm to import a VMF into 3ds Max. 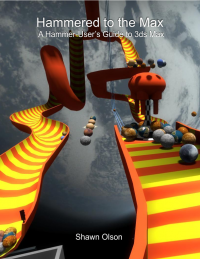 This allows you to bring in your Hammer project into 3ds Max. Control many Source VMT parameters directly inside 3ds Max. Overview on working with displacements in 3ds Max for the Source Game Engine. Information on importing SMD files and QC files from Source into 3ds Max.